OMG, I have to discuss this one book, which left me staring at the final page for probably forever, just sitting there, blinking like a moron. I was like, DANG. And how often does a book make you do that? So. Yeah. THE MARBURY LENS…hurry up and read it so we can talk about it. Goodreads description: Sixteen-year-old Jack gets drunk and is in the wrong place at the wrong time. He is kidnapped. He escapes, narrowly. The only person he tells is his best friend, Conner. When they arrive in London as planned for summer break, a stranger hands Jack a pair of glasses. Through the lenses, he sees another world called Marbury. Seriously? THE MARBURY LENS is a MAJOR mind trip from the beginning to the final word. I wasn’t sure if I was in a fantasy world or inside the mind of a crazy person. But that’s what makes this book so freakishly cool. I flew through this, thinking: OMG OMG OMG OMG…. And you know what makes this possible? Brilliant writing. You see, Jack is an unreliable narrator, and what he’s experiencing isn’t exactly normal. And unlike typical works of urban fantasy or magical realism, you can’t assume that the fantasy element actually exists. Jack’s kidnapping not only impacts Jack and the course of the whole story (as Jack discovers and navigates the hidden world of Marbury), but also colors the way that the reader views the story as it unfolds. We can’t be certain that the kidnapping hasn’t caused Jack to snap OR if the kidnapping wasn’t connected to later events in another way. We just don’t know. What makes it even harder to figure out is that the events that occur in Marbury seem to have an impact on Jack in the real world. I’d love to see how a filmmaker interprets THE MARBURY LENS. It felt like every scene could be taken two different ways. Every time Jack asks, Is this real? I found myself thinking, “OMG, I don’t know!” It’s just so trippy. THE MARBURY LENS is a work of delicious literary genius. The concept alone will have your head spinning—a story within a story within a story, all of them interconnected. The characters are so real, so genuine. I felt so connected to Jack and Conner and Nickie. The prose was dynamic and rich. The dialogue was pure gold. Smith captured the voices of real teens as if he’d merely flipped on a tape recorder and transcribed—never once did his creations break character. And the imagery—stunningly vivid and original. And yeah, gruesome at times. The realistic settings are sharp and well-defined (Smith did an amazing job capturing the essence of England), while Marbury is just…I don’t know, this unbelievable, horrible place where the evils of its world are not hidden like they can be in ours; they are exposed in all their gruesome terror for all to see. THE MARBURY LENS is dark and gritty, a no holds barred sort of book that doesn’t pussyfoot around, making something major into less—it doesn’t, for example, make a kidnapping of a child or murder seem any less horrifying than it is. It pushes the boundaries of YA—sort of paralleling the way older teens will push the boundaries of adolescence. But, while THE MARBURY LENS is blunt and intense, and yes, dark, it’s not overly graphic—but more importantly, it’s quite profound. Jack’s story is more than just a venture into another world. It’s a journey of friendship and love, hope and healing. But is Jack’s story(ies) real? I’m not telling. You’ll just have to read and find out. THE MARBURY LENS is available for preorder and will be released November 9, 2010. 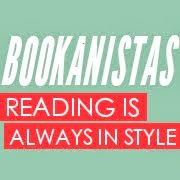 Be sure to stop by and check out what books some of the other Bookanistas are celebrating today! It sounds amazing. So creative. The opposite of putting on rose-colored glasses. Thank for visiting me blog! I hope we can become regulars at each others place! Wow fantastic review. Love how passionate you described the books effect on you as a reader. I am definitely getting this one soon. I want!! I want this!! I really do!! Is this on Amazon? I'll go check! Thanks for the intro and review!!!! Wow, you sound so excited about this book that I am going to definitely get this one now! When someone's this excited about a new book, I've got to get my hands on it. Thanks, Carol! I've seen this book all over the place and was on the fence, but you have me convinced. Thanks for the great review it sounds fantastic! You did an excellent job explaining the book and whetting appetites. Nice job, C.
And I agree, Andrew is on the list of authors I emulate, along with John Green, Lois Lowry, and James Dashner. Wow. Hard to decide if the way the story sounds or the cover is cooler ... okay story I guess, but that cover is damn cool. The cover alone is a total mind screw. I love it! I'm adding this to my list too. Great review also Cee. You have got a ridiculous talent for giving us an insight into a particular book and painting a picture for us. Huzzah!! I have this one sitting on my table! I guess I know what I'm reading next! Great review! This looks like a book that would be totally up my alley. Thanks for the review and the high suggestions. I want to pre-order now! I've become a follower and if you don't mind I'm adding you to my blog list so others can find you and this wonderful blog! Dang. I need to keep my must-get list updated. This is the second time I've seen this book mentioned and craved it. Thanks for a great review. I'm telling you, you do the best book reviews. You can pick out all the themes and details, without really giving anything away. Also, not surprising you got a lot of male comments on this one...which is great. I hope this book get more boys reading. That does sound like a suspenseful, intriguing book with a great unique plot!! I've been hearing good things about this book - can't wait to read it! Wow, sounds awesome! I can't wait to pick it up. Umm, I want this book. I totally want this book. Dude, I devoured this book. It had a bigger impact on me than any other YA book I've read, including any of the HG trilogy. I thought about it for weeks after reading! This novel sounds awesome. I just added it to my wish list because of you. I have been dying to read this forever. I'm pretty addicted to his blog, and this book sounds amazing. I don't read many reviews that make me think I need to immediately buy a book, but yours did. This book sounds so original. The Marbury Lens sounds pretty freakin' awesome! I'm checking it out. Nice review. Just dropping back in to see when your next post is coming up! OH, I NEED to read this! It is so unfair that there are only 24 hours in a day, and that we have to spend 6-8 of them sleeping. Can I get a rule-change here? Please? Anybody? This book sounds amazing! Thanks for the review!! Have a great weekend!! I love books that have a need to be figured out and this sounds like a perfect fit. From your review alone I can picture it being a great movie! OMG I NEED THIS BOOK NOW :( !!!!!!!!! You just made me too excited for my own good. I am definitely going to be getting this book - it sounds so good! Thanks for the awesome review! So intriguing! I put the book on my wishlist a while ago because someone was giving it away as an ARC (maybe you?) and I liked how it sounded. Now I have a review to go with it. Yay! Oh my goodness, what a review. Sounds like a must read--and a little bit like one of those books that's going to leave me with my head in my hands afterwards, wondering how I'm supposed to live up to it! The Marbury Lens sounds like a fabulous book... one definitely worth buying! I'm really enjoying your blog, by the way. So much so that I've given it a 'blog award'. Perhaps if you have a minute, you could pop over to my blog to check it out! Wow! Superb review! "The Marbury Lens" sounds unmissable! It does sound intriguing and I love books that keep me guessing and thinking. Thanks for the tip!